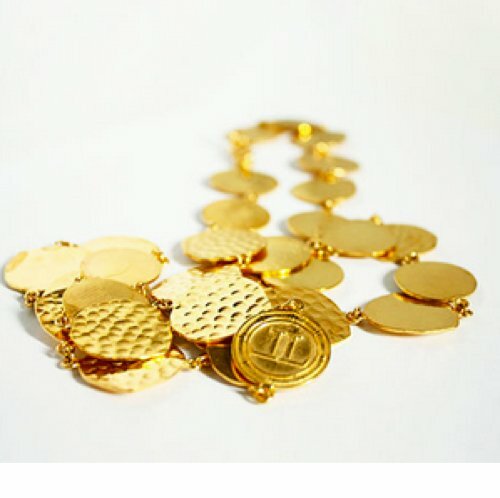 Our brass coin necklace is 17 inches long and has a modern old world look that will be marvelous with any outfit. Price: $130.00 In stock! - Browse this brand: Lisi Lerch JewelryOur products are custom made to your specifications. This product ships up to 1 weeks after your order is placed.